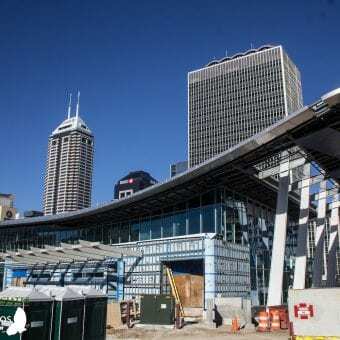 The Julia M. Carson Transit Center, considered the hub for the IndyGo public transit in Indianapolis, with its close proximity to the heart of downtown, the Cultural Trail, and YMCA Bike Hub, serves pedestrians, cyclists, and bus riders. The sleek 14,000-square-foot building, completed in spring 2016 and designed by Axis Architecture + Interiors and AECOM, has a rounded, swooping roof and modern bus bays that evoke overhead bullet-train monorails. The inside is lined with couches on a terrazzo floor, large windows let in daylight and long LED tube-style overhead bulbs self-adjust according to how sunny it is. The Carson Center is a particularly unique building, with radiuses and bends throughout the design of the structure. 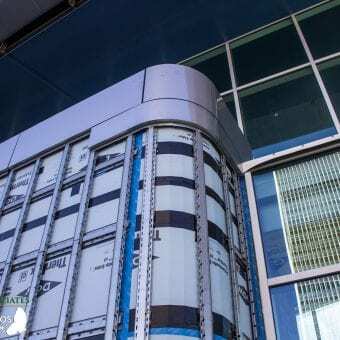 ProCLAD Inc. out of Noblesville, Indiana, installed the project’s exterior wall assembly, which comprises Knight Wall Systems’ HCI® System with Dow® Thermax Insulation, cladded with porcelain and custom stainless steel panels. East Coast Metals made the stainless steel panels utilizing a scan with 3D point clouds on the more complex parts of the project. 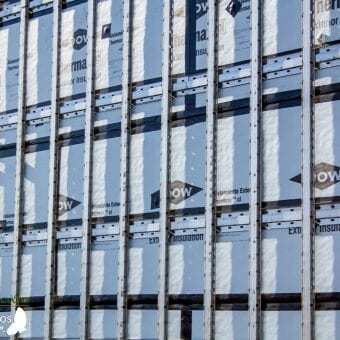 Knight’s HCI System was specified because the panels used on this project were a rainscreen design, which allows for drainage and evaporation in the system. 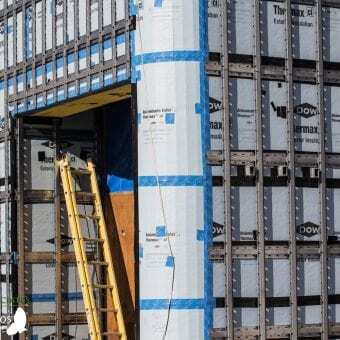 The HCI System suspends the cladding away from the Thermax Insulation substrate, allowing for a pressure equalized space on both sides of the rainscreen. 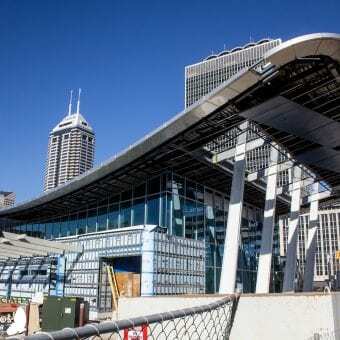 In fall 2017, designers AXIS Architecture + Interiors and AECOM were recognized for their work on the downtown transit center with an Honor Award in the New Construction category at the annual American Institute of Architects (AIA) Indiana Design Awards Program. The project features several sustainable components, and is expected to receive Leadership in Energy and Environmental Design (LEED) Silver Status or higher.